Underdeveloped by very international, pages indexed by Google on .LY domains are nice.ly spread over major European languages. 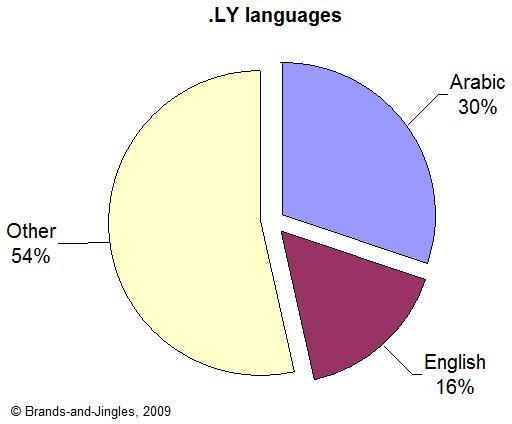 Of course, the lump chunk is in Arabic (30%) and world's lingua franca , i.e., English (16%). The other content is spread between Persian and French (3% each) and then Russian, Spanish, Chinese, Italian, Turkish, Indonesian, Polish, Dutch, Greek, Estonian, Thai, Hebrew, Czech, Bulgarian, Vietnamese, Slovak, Croatian (2.8% each). Although, we have to admit, it is mainly due to the fact that these languages are used in affiliate sites and are not indigenous per se. 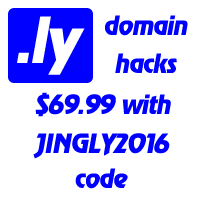 In terms of the TLD structure, two thirds of the contents resides in the second level domains, while official third level domains contribute to the other third, main.ly in "com.ly" zone (29%).